in friendship, the best direction is together…. 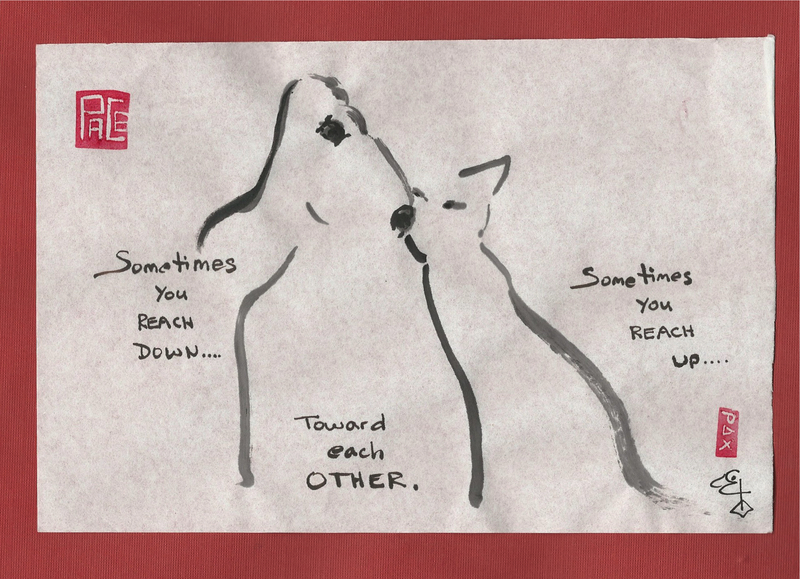 This entry was posted in The Now and tagged animal assisted chaplaincy, cat dog friendship, cats, dogs, down, friendship, ink brush painting, interspecies spirituality, living together, sumi-e, together, up, wisdom. Bookmark the permalink.